Two photographs of the site of a wooden bridge crossing Mill Creek in Paxico, Kansas. 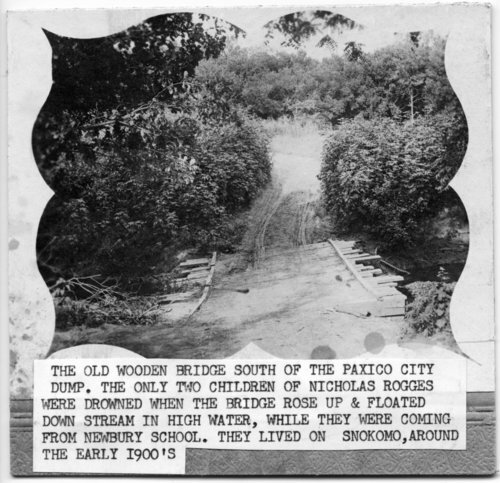 The bridge was located south of the old Paxico city dump. A caption reads that the "only two children of Nicholas Rogges were drowned when the bridge rose up and floated down stream in high water, while they were coming from Newbury school."